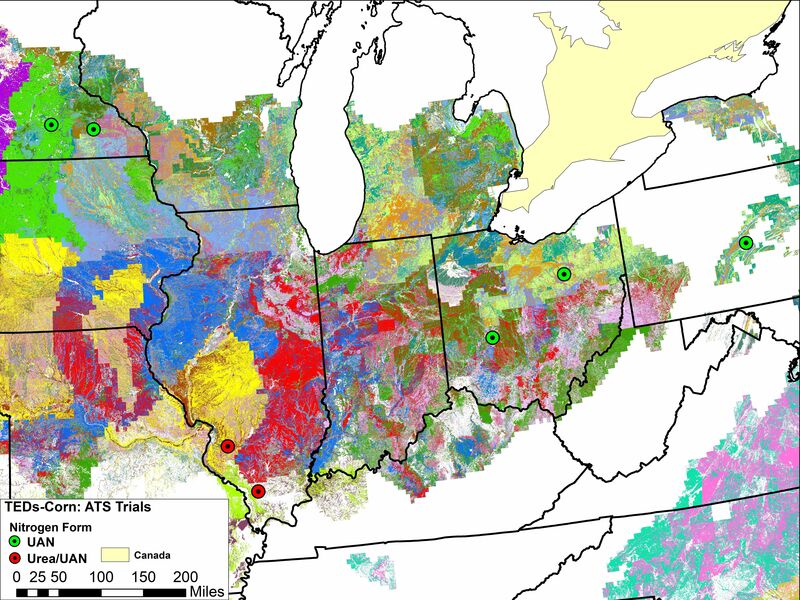 The Technology Extrapolation Domains (TED) Framework shown on the map below displays spatial units with shared soil and climatic properties where agronomic tools and products might perform similarly if all other farm management variables are the same. Each spatial unit is represented by a different color and by a six-digit number. 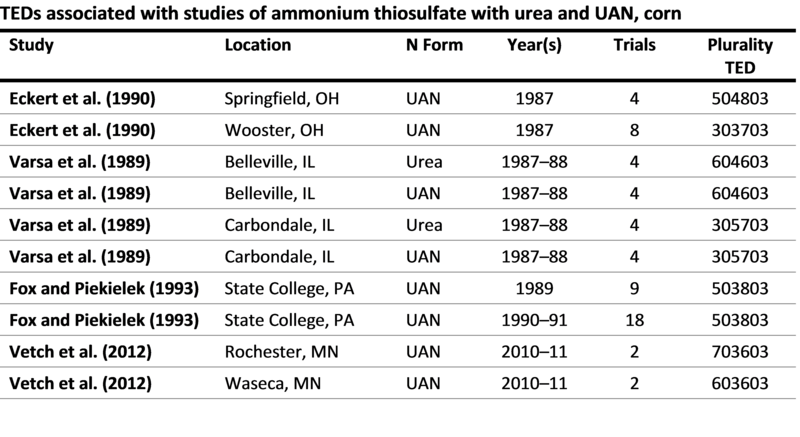 The six-digit TED numbers associated with ATS trial locations are presented in the table below the map. These numbers can be used to determine if TEDs in which ATS trials were performed correspond to TEDs in your own farm or region. Visit the TED Framework tool page and review the tutorial to learn how. For detailed results on the effectiveness of Ammonium Thiosulfate (ATS) to increase yield please visit the Research Findings page. For introductory information about Ammonium Thiosulfate (ATS) visit the ATS Product page.